Dimensions 1 by 7.25 by 9 in. Using a strategic approach to the issues in a journalistic style, this book will be a foundation for how people think about this issue going forward-the first book people would read on the topic, before delving into the minutiae of the moment. 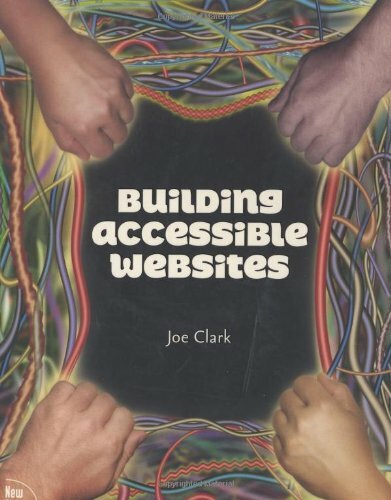 With lawsuits and human-rights complaints proliferating, and with simple awareness of accessibility percolating through the industry, soon it will be hard to find a web shop that won't be producing accessible sites, whether it presently has the experience and know-how or not. Government mandates, lawsuits from disability groups, more non-English speaking web users, and an increasing population of Web-enabled devices make this a vital topic. About: Using a strategic approach to the issues in a journalistic style, this book will be a foundation for how people think about this issue going forward-the first book people would read on the topic, before delving into the minutiae of the moment.